Are you a Mom struggling to get the support you need from your family members? High performing Moms (HPMs) deserve high performing families, yet it often doesn’t work out that way. Why? What goes wrong? Mom sets a good example and is a good role model. Why doesn’t she get that all important cooperation and support she needs? Liz O’Donnell, discusses in her book, Mogul, Mom, and Maid, the numerous societal and familial influences that put the lion’s share of responsibilities on Mom, and yet offer so little support. For instance, at work, women are expected to work harder to prove themselves worthy of the workplace. In other words, compete with men and pretend that they don’t have families at home. Even with their husbands, when tasks, chores, and responsibilities are divided up, will he reliably follow through? And what about all those responsibilities that just come up and are unanticipated, who does those? If you want a better understanding of moms in the workplace, pick up a copy of Mogul, Mom, and Maid. Another challenge for HPMs are kids who seem completely capable of managing their responsibilities, but often wait for Mom to prod, cajole, and otherwise motivate action. Even Mom, who wants support, often undermines her own goals. Either she isn’t asking enough of others or, if she is, her asking turns into a control battle and control battles always turn into a stand still and not progress forward. Let’s ask the first question: Why don’t Mom’s delegate? Some HPMs grew up in families with significant problems: alcoholism, abuse, neglect, and they needed to be “the responsible one” and learned early on to over-function. They don’t delegate, and if they do, they have a hard time letting go. Or, more commonly, they do not delegate due to simple socialization, where women buy into the idea that they’re responsible for everyone else’s needs. It’s what Liz O’Donnell calls “Maternal Gatekeeping,” which is where moms habitually jump in, even when their partners are trying to be more involved and take ownership of responsibilities. Let’s look at some of the pitfalls of Mom’s trying to get cooperation from their kids. One is that undiagnosed issues with kids will interfere with their ability to carry out instructions. ADHD or kids with learning disabilities will seem uncooperative when in fact they are having trouble staying on task or fully understanding a task. When a parent isn’t aware of this, they can struggle and build a control battle that can become difficult to unravel. Another pitfall is temperamental differences between HPMs and their kids. Think of a very efficient, action oriented Mom and a shy, highly-sensitive daughter. I’ve seen that combination turn into tragic control battles that can undermine the relationship for a very long time. 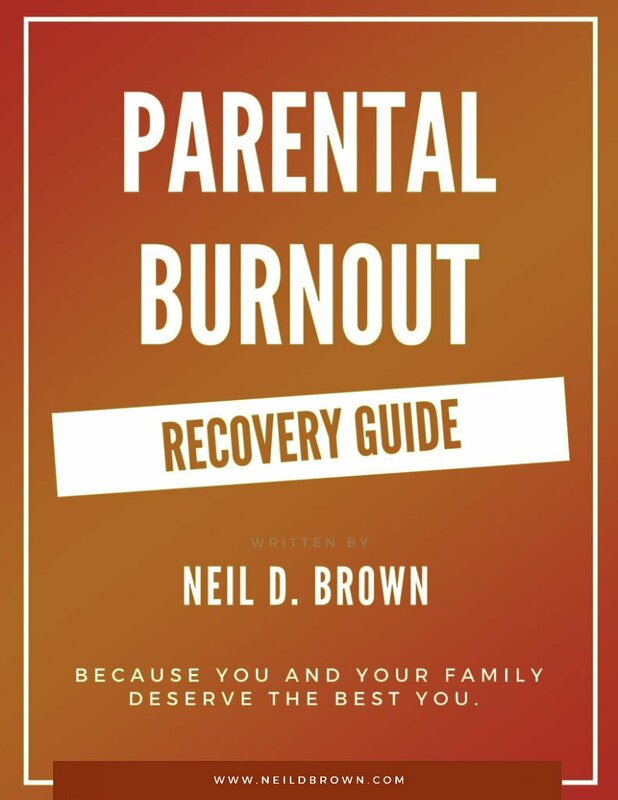 When parents keep pushing against a child or other spouse resistance, getting into a negative pattern in the family will grind things to a halt and undermine a parent’s best efforts. Start with a vision of how things can be. Let’s start with the notion that family-life is a work in process and that we’re not looking for perfection. Life and family life is messy, so let’s accept that. Let’s decide that we want everyone to participate and feel good about their contributions. Everyone is needed. It would be a rare situation if you simply told your kids what you wanted them to do, and they did it up to your standards in a timely way. There is learning about the doing of the tasks and learning about accepting responsibility and engaging tasks. You’ll find that some kids are ready and willing to jump in and participate; they want to please and enjoy having a role. Others will be less interested, more distracted and more challenging to motivate. The trick is to avoid entering a Control Battle with your kids. When parents do, they find themselves putting out a lot of effort that only serves to increase their kid’s resistance. That will turn any HPM into burned out Mom. In dealing with various forms of resistance, my advice is to stay away from rewards and punishments. Stay positive and patient, and adopt the notion that privileges are earned when kids manage responsibilities and have a good attitude. That’s the way they get the age appropriate things they want: time with friends, time on electronics (limited, of course), or rides to where they want to go. The model here is that kids are expected and required to engage their responsibilities, including participation in household chores. That’s not negotiable. Make it a happy experience. You can add music, laughter, and positivity. And when it comes to getting cooperation from your partner, stay positive and communicate, communicate, communicate. Assume good intentions on their part, listen as much as talk, and let each miscue be an opportunity for improvement. So HPMs, let’s help you succeed! You need it, you deserve it, and supporting you makes your kids and your partner better. Win, win, win. Stay absolutely positive and delegate & teach. Live with imperfection and things being done differently than you would do them. Know your kid’s limits and needs and set appropriately high expectations. In other words, set expectations on the high-end of their developmental ability. Celebrate success, but do not bribe, let earned privileges do its magic. Stay in the game with your partner. Don’t build resentment and go negative. Don’t take failure personally, that leads to Control Battles. Simply review the situation with the other person, see what went wrong, and make a change. Sometimes a change will include a kid losing a privilege, but make sure this isn’t framed as punishment, simply that they get the privileges they earn and not the ones they don’t. Sometimes the improvement will be you offering a prompt or a written checklist, or an alarm. Remember, failure is all part of learning and growing for all of you. Use it as information that something needs improvement. Your family has everything it needs to be a high performing family. Thanks to Liz O’Donnell for her work and her vision on behalf of women everywhere.